Place the pork chops in a zipper bag with liquid from a jar of bourbon cherries. Set aside and allow to come to room temperature, about 30 minutes. To make the sauce, heat the olive oil in a saucepan over medium heat. Add the onions and cook until tender, about 5 minutes. Add the chipotle pepper and garlic and cook for another minute. Add the cherries, water, chicken base, sugar and salt & pepper. Cook for about 10 minutes or until the cherries are tender, using a spoon to mash them slightly. If desired, add the corn starch mixture to the cherry sauce and cook until thickened. To cook the pork chops, heat a cast iron skillet over medium-high heat. Melt 1 tablespoon of butter in the pan. Remove the pork chops from the marinade and season generously with salt and pepper. Place the chops in the hot pan and sear on one side, about 4 minutes. Reduce heat to medium-low and flip the chops, cooking until well done. Tent the pork chops on a plate with foil for 5 minutes. 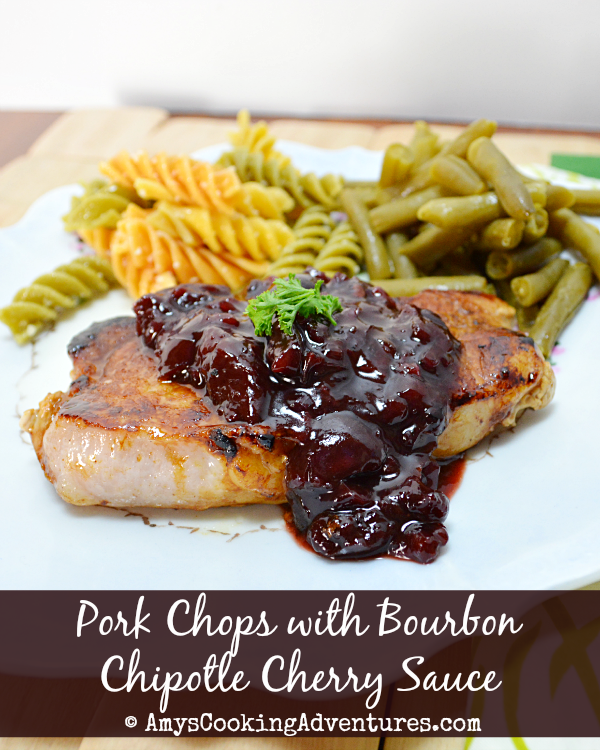 Serve the pork chops topped with bourbon cherry sauce. Wow those pork chops looks absolutely delicious and the sauce sounds spectacular. 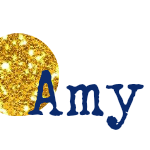 Thanks for sharing Amy, hope you're doing well! G'Day from Oz! Thanks so much for posting this divine recipe! I've just pinned it and can't wait to try it-yum!